The church in the sloop where the horrible accident happened is now being checked out it looks like. I go past it everyday on my way to work. So sad! 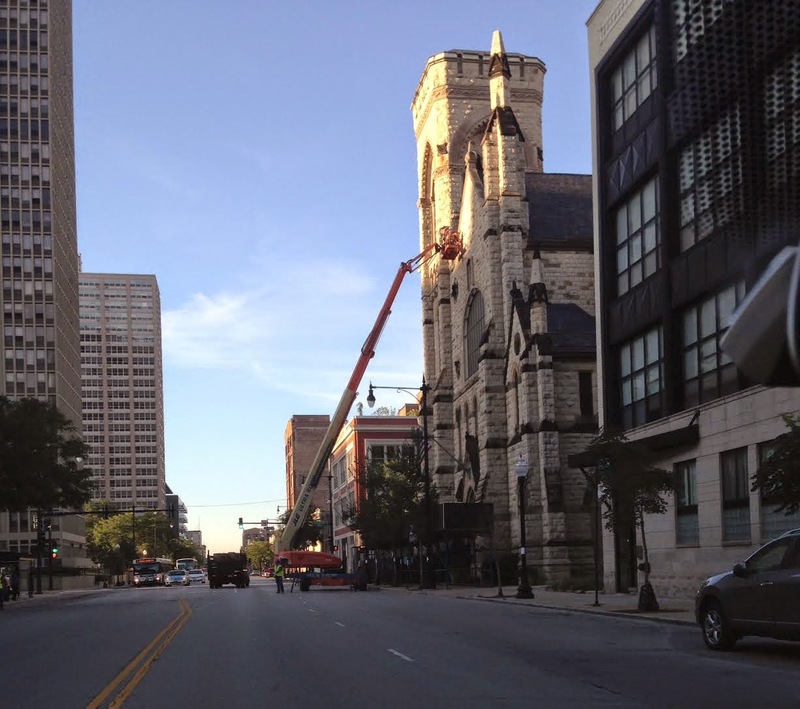 Thirty-four-year-old Sara Bean was waiting to cross the street with her boyfriend Thursday in the 1900 block of South Michigan when a piece of stone gargoyle fell off Second Presbyterian Church. Her boyfriend filed the suit Monday, which seeks more than $100,000 in damages. Our thoughts continue to go out to the family. So sad.